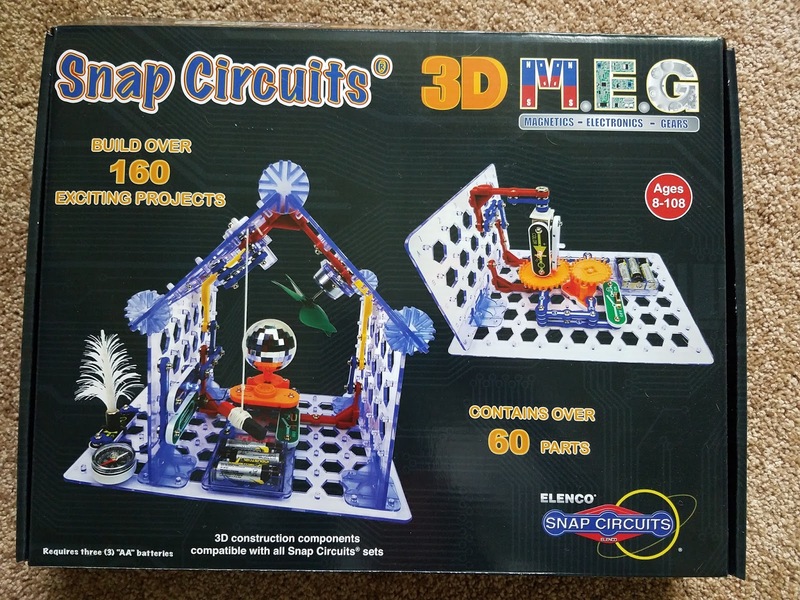 The ABCD Diaries: Elenco SNAP CIRCUITS 3D M.E.G. Kit--STEM Learning Fun! 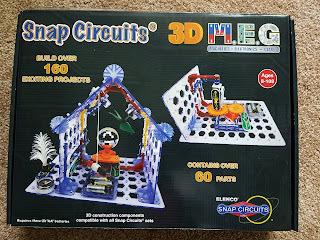 Elenco SNAP CIRCUITS 3D M.E.G. 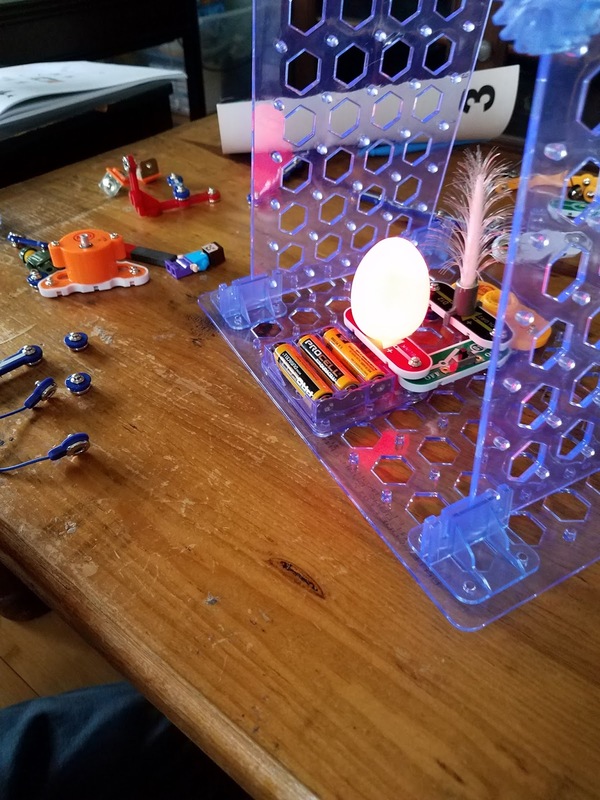 Kit--STEM Learning Fun! *DISCLOSURE* Thank you to Elenco for providing product samples in order to facilitate this post. All thoughts are strictly my own. D has an engineering-inclined brain...he gets it from B for sure! He has loved SNAP CIRCUITS sets since he was about 4 or 5 years old. He was super excited to find out about the newest Elenco SNAP CIRCUITS kit, the 3D M.E.G., and was over-the-moon excited to try it out. The M.E.G. stands for Magnetics-Electronics-Gears and this kit helps young engineers learn the basics of electricity, engineering, and circuitry with full color, curriculum-rich, easy-to-follow instructions. 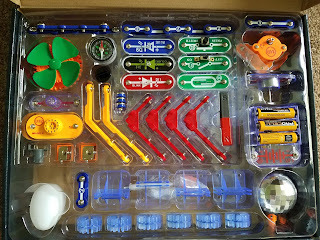 This kit contains unique “stabilizers” for building amazing “3D” SNAP CIRCUITS® structures. D is 9 and he was able to build these amazing creations independently using the provided guide. He found the instructions to be easy to read and follow along with...frustration-free! 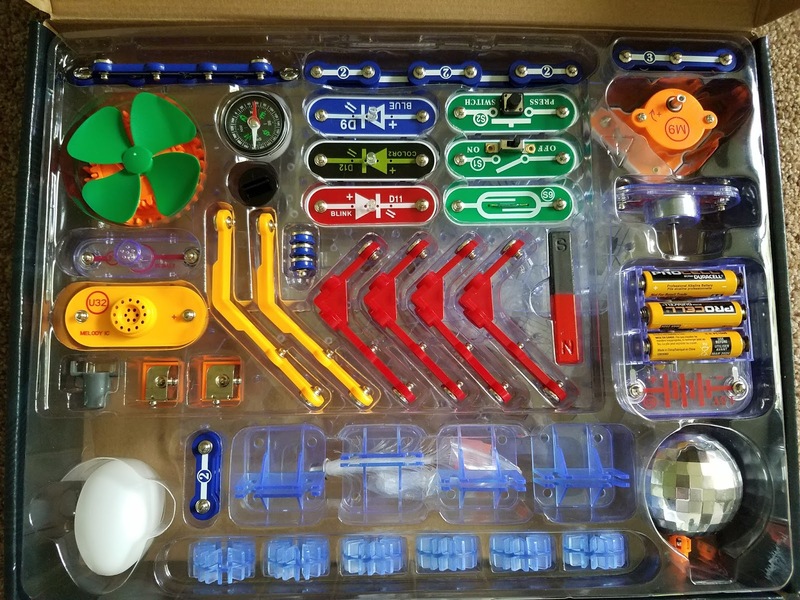 This kit has several of the same base pieces as other SNAP CIRCUITS sets, but adds tons of new component parts for even more awesome experiments. 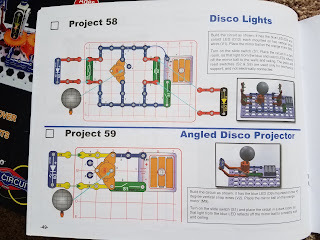 New component parts include 3D Rotating Snaps, unique two-Sided Base Grid, Rotating LED Lights, Fiber Optic Tree, Rotating Mirror Ball, multiple-sized Gears, melody IC, Magnetic Switch, and more. 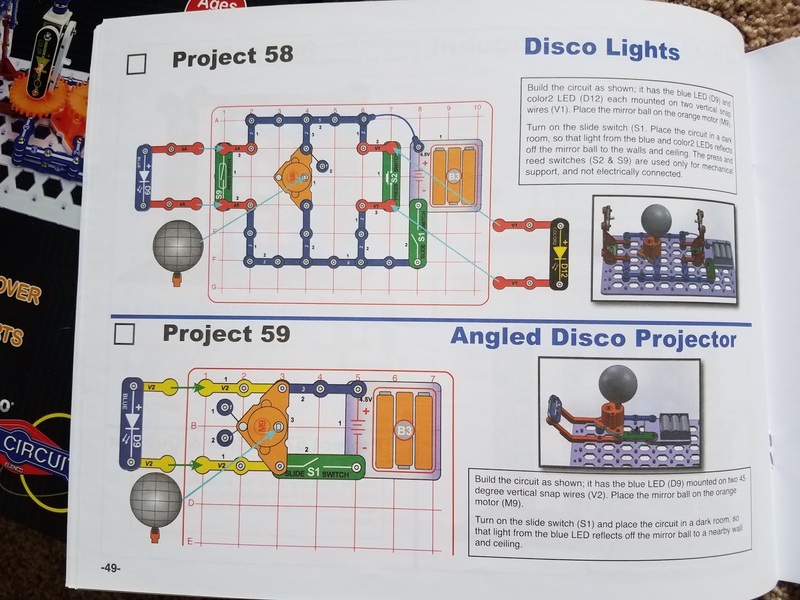 There are even bonus circuit projects for users and owners of other SNAP CIRCUITS® kits to build bigger and better projects. This kit includes instructions to build over 160 projects and includes over 60 parts. These projects are as educational as they are fun and D really loves creating the different projects as well as creating some of his own masterpieces. I love that the guide provides plenty of ideas, but leaves plenty of room for open-ended exploration for curious minds. The 3D M.E.G. 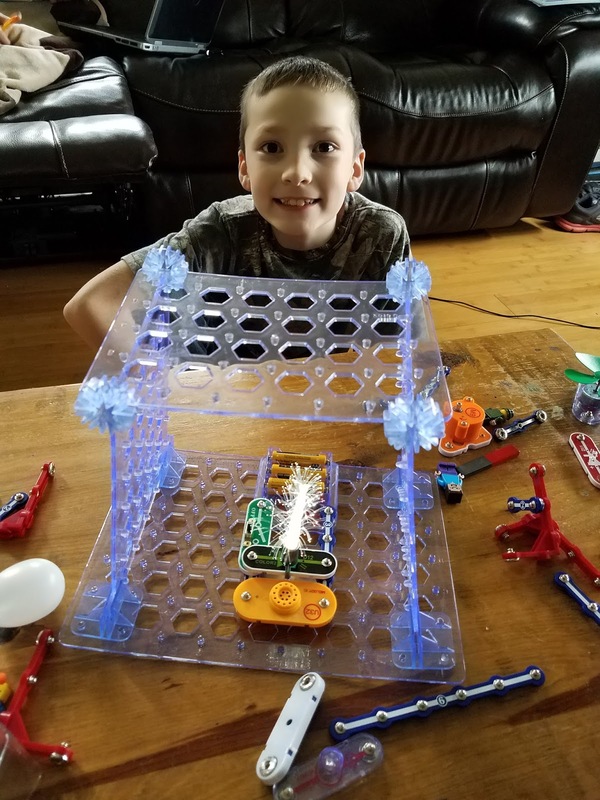 kit is another great addition to the award-winning SNAP CIRCUITS® product line, fully compatible with all SNAP CIRCUITS® sets to build bigger, complex, and more creative projects. 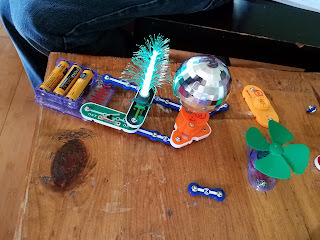 It is suggested for ages 8 and up and does require 3 AA batteries. 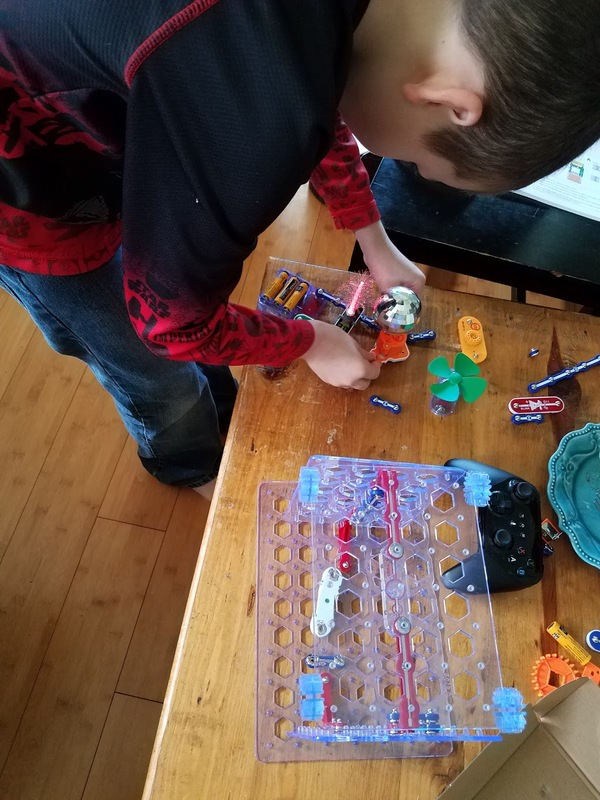 I love gifting educational goodies for pretty much every holiday and with Easter coming up, a SNAP CIRCUITS kit from Elenco would get any young learner excited! 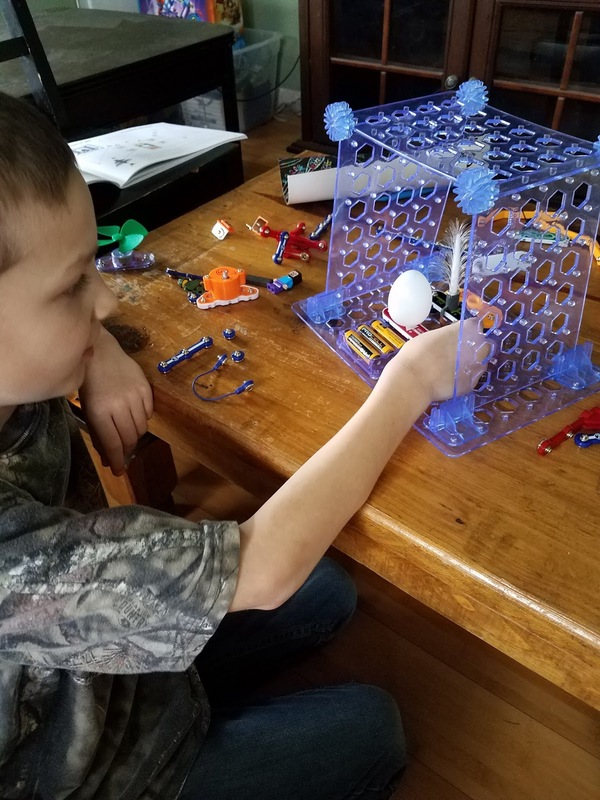 Check out all of the amazing STEM kits they offer and surprise your budding engineer with a gift they will adore this Easter!